Whether your application calls for light to heavy gage duct, or moderate to severe process criteria, LaserLock™ ducting makes the right product for you. LaserLock™ ducting is a modular ducting system available in a range of standard sizes. The system is complete with bends, blast gate dampers, reducing cones, branch peices – all joined with clamps, reducing installation time to almost half that of conventional methods of ducting. Our experienced staff can review our capabilities with you, or you can send your specifications to us and we will provide solutions for easy installation and secure clamping of your system. The OK pipe system is ideal for pneumatic and mechanical conveying and for ventilating applications in both farming and industry. 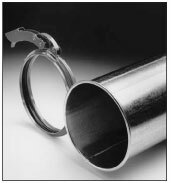 The simple and flexible pipe systems may be adjusted to suit any specific purpose, resulting in shorter conveying distances and therefore the most efficient and economical solutions. Applications range from the conveying of crops, waste paper, plastic granulates and sawdust to complete ventilation systems. 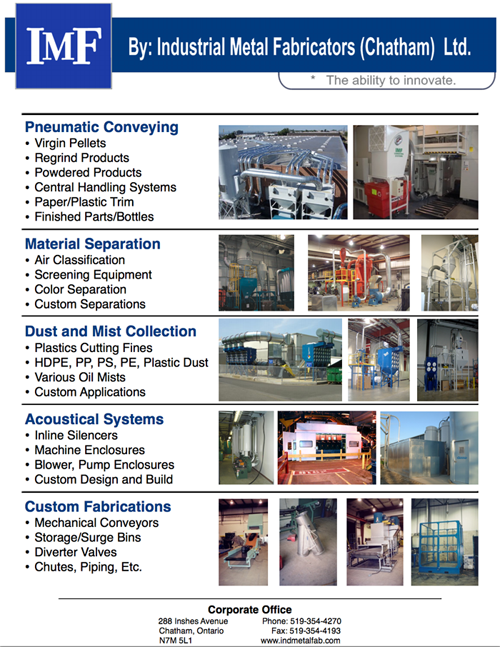 Customized systems can be supplied – tailored to meet any specific requirement – whether for conveying or for ventilating.